When you upgrade or renew your Fisheye license, you will receive a new license key – you'll need to update your Fisheye server with the new license. 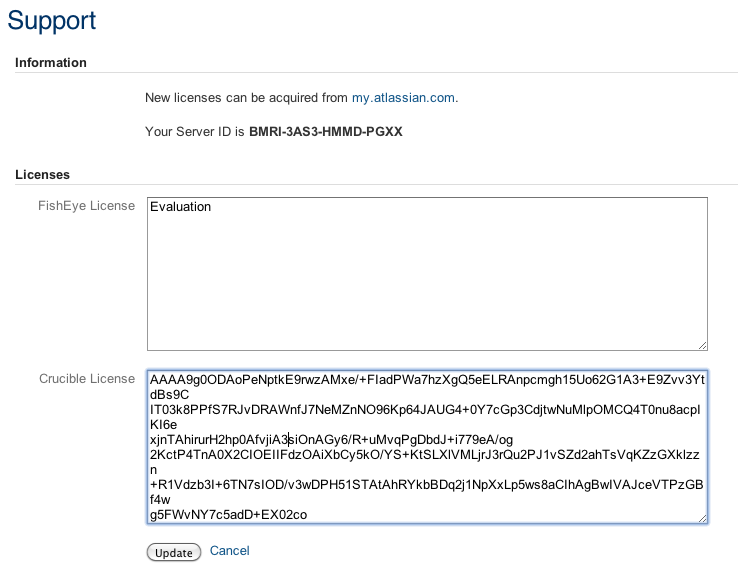 Note that you can access your current license, or obtain a new license, by going to my.atlassian.com. Log in to Fisheye Admin area. Click System Info (under 'System Settings'). Click Edit License and paste your new license key into the appropriate text box. Paste your new license into this box. Obtain a new license by clicking my.atlassian.com in the 'Information' section.